A season of great Hollywood westerns. Voted no. 3 in the American Film Institute’s Top 10 Westerns, and receiving the Academy Award for Best Colour Cinematography, Shane, directed by George Stevens, is the one of the best-loved westerns of all time. 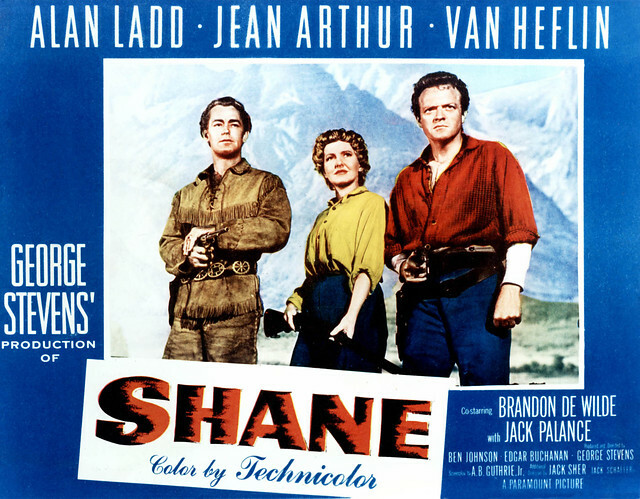 Alan Ladd plays Shane, the mysterious gunfighter, who arrives at the homestead of Joe and Marian Starrett (Van Heflin and Jean Arthur). 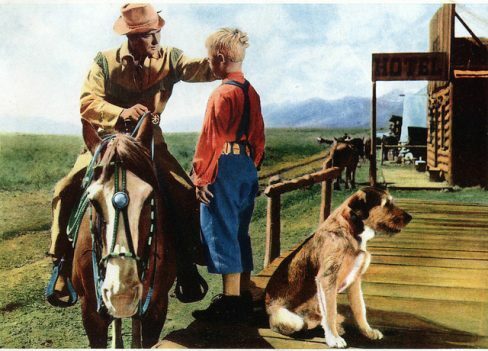 He soon becomes involved in the Starrett’s battle against cattle ranchers trying to drive them off their land, and becomes a figure of fascination to their son Joey (Brandon deWilde).